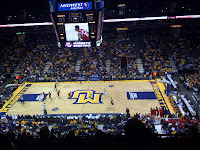 Marquette Basketball tickets are already available from Ticket King Milwaukee for the upcoming 2011-2012 basketball season. Marquette's first home game at the Bradley Center will take place Friday, November 11th and will be against the Mount St. Marys Mountaineers. The Golden Eagles have been hard at work, most recently preparing for the upcoming season at boot camp out in the woods of Wisconsin. Last season, Marquette made it to the Sweet 16 round of the playoffs and will undoubtedly go far again this year. Marquette has an exciting schedule this year, but my favorite is watching Marquette play other Wisconsin schools. The Golden Eagles travel to Madison to play the Badgers on December 3rd. 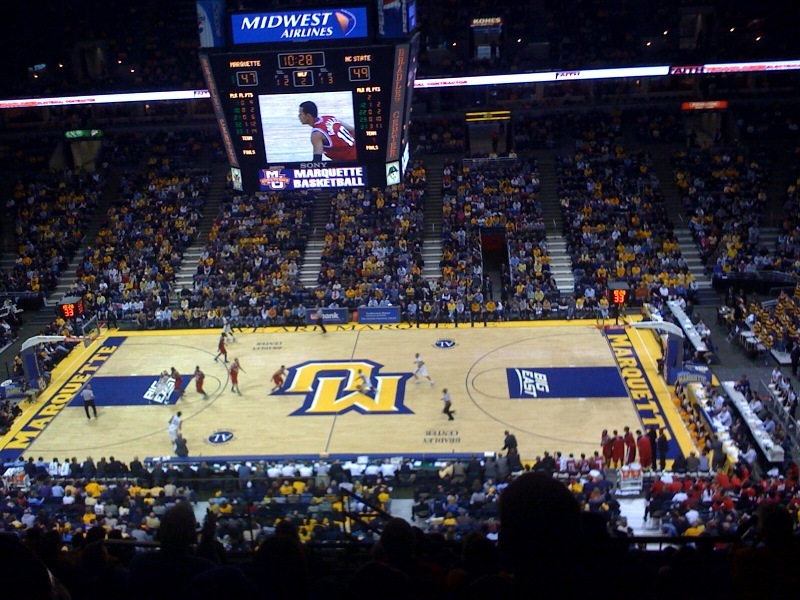 Then, on December 10th, Marquette hosts UW-Green Bay. On December 22nd, Marquette will host UW-Milwaukee. Don't miss your chance to catch some exciting collegiate basketball this winter!